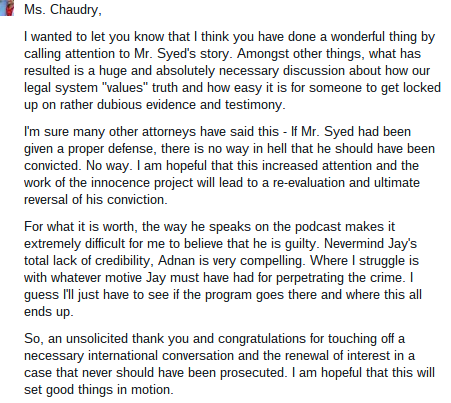 So this Thanksgiving, I must thank the good people at Serial for dedicating thousands of hours to find the truth in this case, the millions following Adnan’s story, the hundreds of thousands following my blog, and the hundreds who have reached out with messages of support and love, e-hugs, offering help, prayers, money, anything they can do. It is amazing. It is overwhelming. And it is so very appreciated. This message was particularly meaningful, given my years of work on such issues. 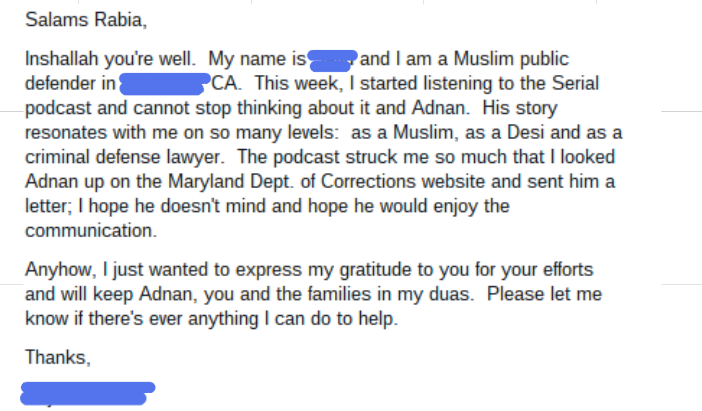 Adnan has received many dozens letters and is committed to responding to each one. It takes time, so please be patient. If you just want to drop him some support but not necessarily want a response (though he may still send one), sending him cards would be great. People are sharing their stories with him, and with me, about similar injustices they or their loved ones have faced, so we can exchange good wishes and comforting words with each other. 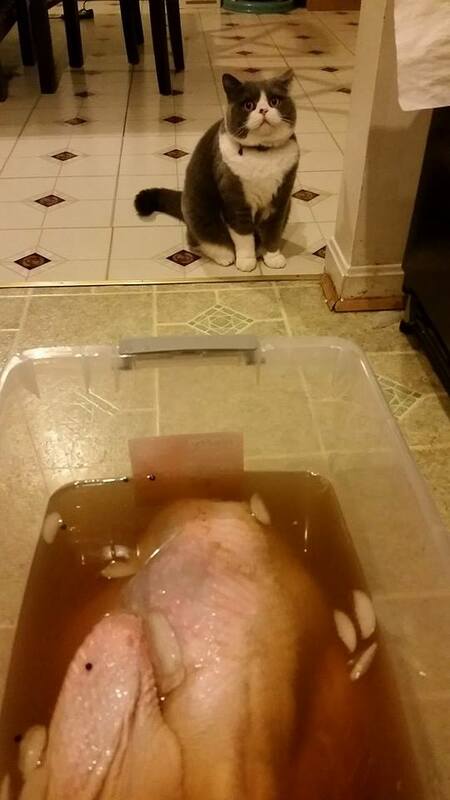 People are also sharing umm… interesting pictures with him, but I’ll let him respond to those on his own. Here is his address: Mr. Adnan Syed, ID #293908, North Branch Correctional Institution, 14100 McMullen Hwy SW, Cumberland, MD 21502 . I’m slowly working through all the messages I’ve gotten and apologize for the delays in doing so. I’ve read every single one, and will respond to every single one! As a penance, and a thank you, I’ll be putting up a new post tomorrow with enough to keep those deeply interested in the case busy until Serial episode 10 drops next week. Look out for it. Wishing everyone a blessed and happy Thanksgiving.